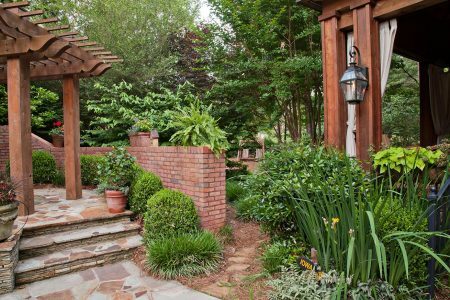 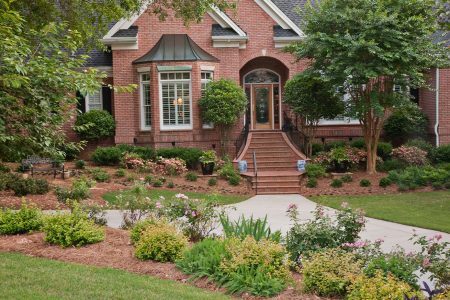 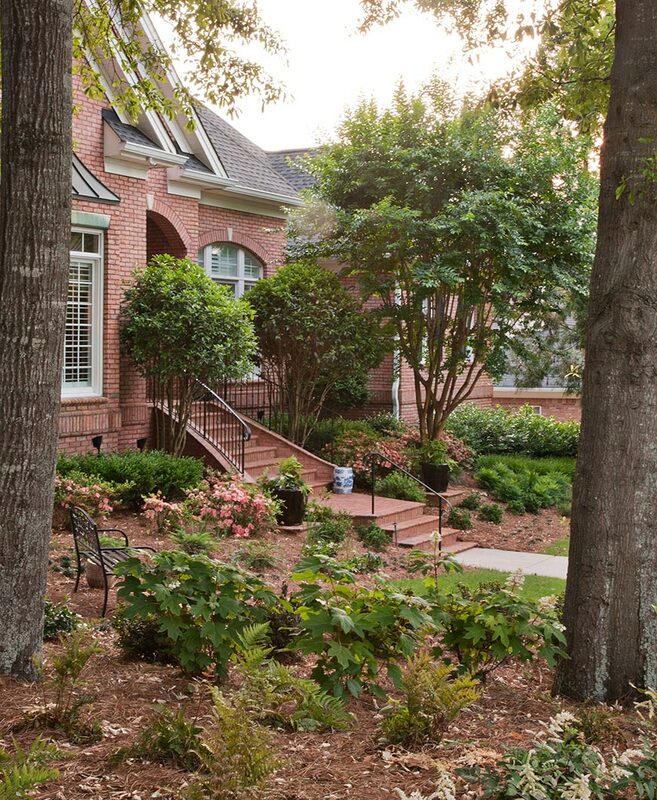 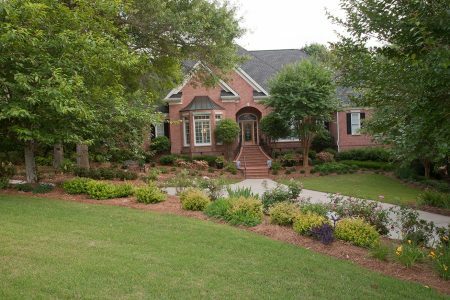 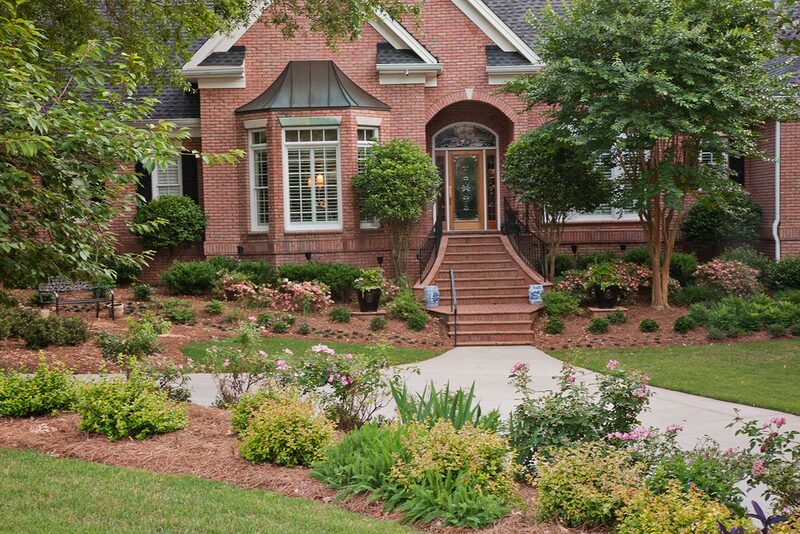 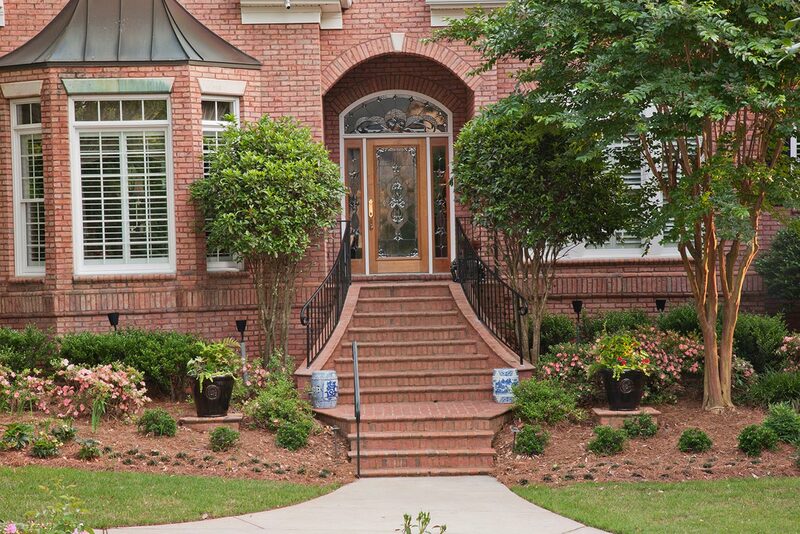 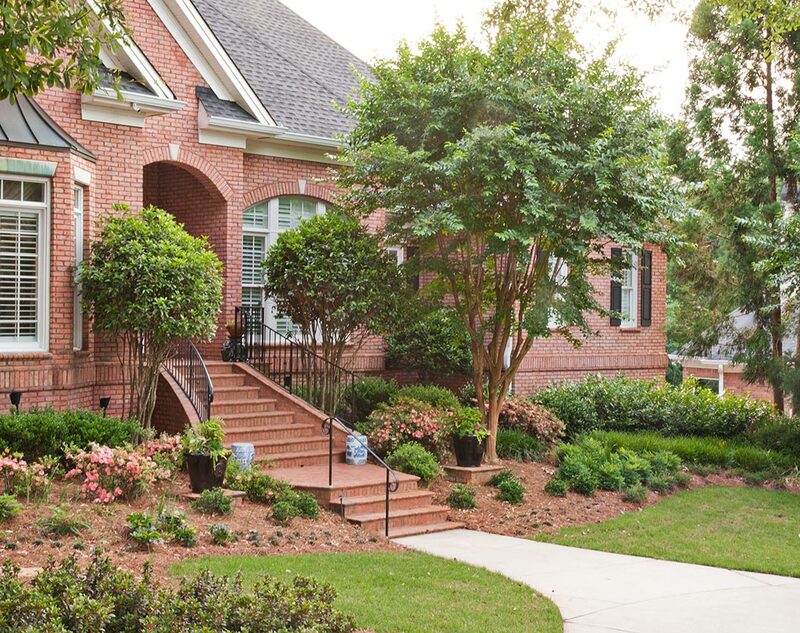 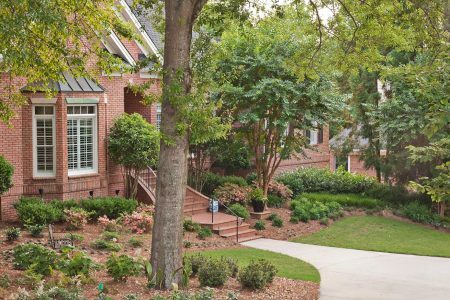 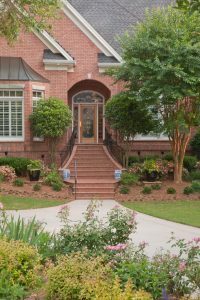 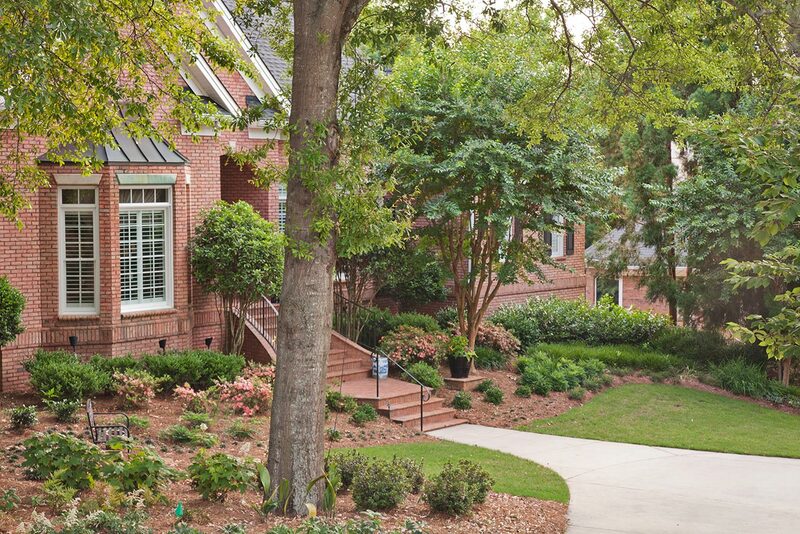 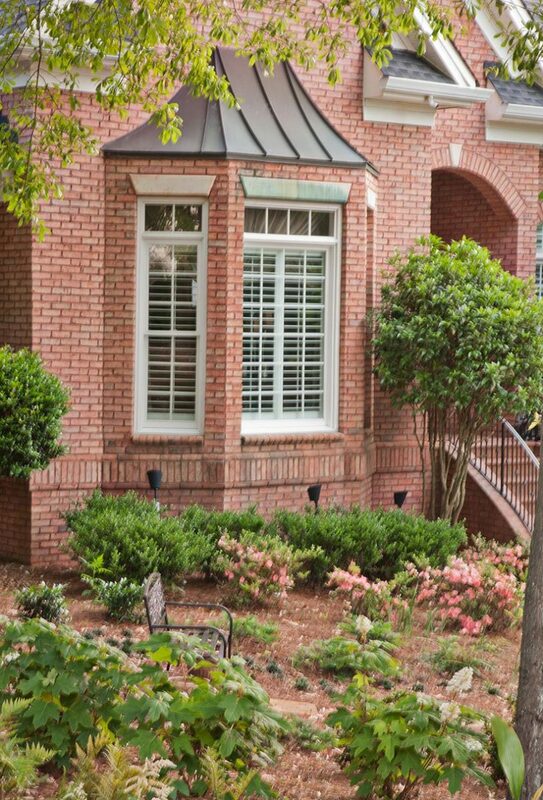 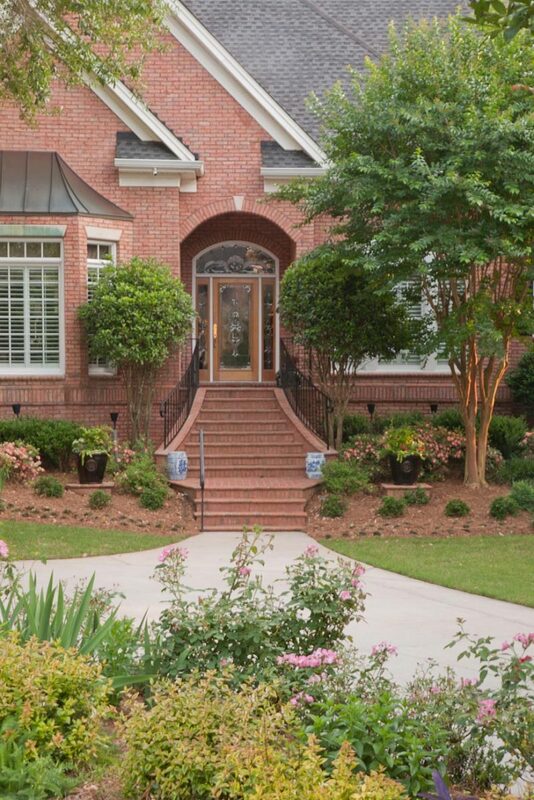 After purchasing this hidden gem in a prominent south Atlanta community the owners wanted to remodel the outside of the home in phases. 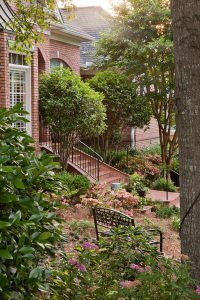 Since it hadn’t been lived in for several years the landscape needed much attention and a limited corrective pruning to some of the plants was initially performed. 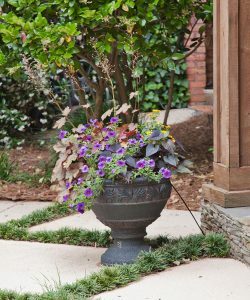 This allowed for stretching the budget a bit and keeping some of the plants that wouldn’t get overgrown again for many years with minimal care. 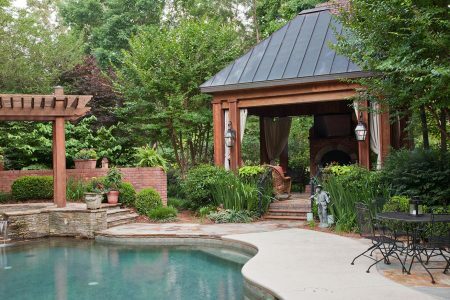 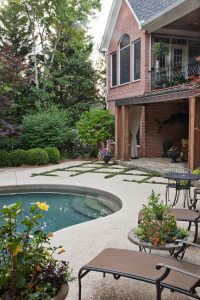 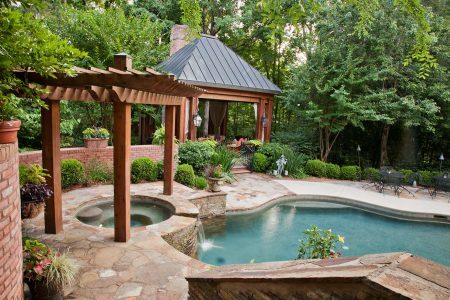 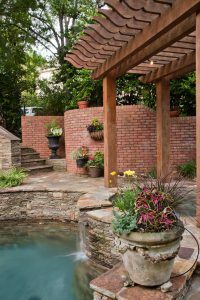 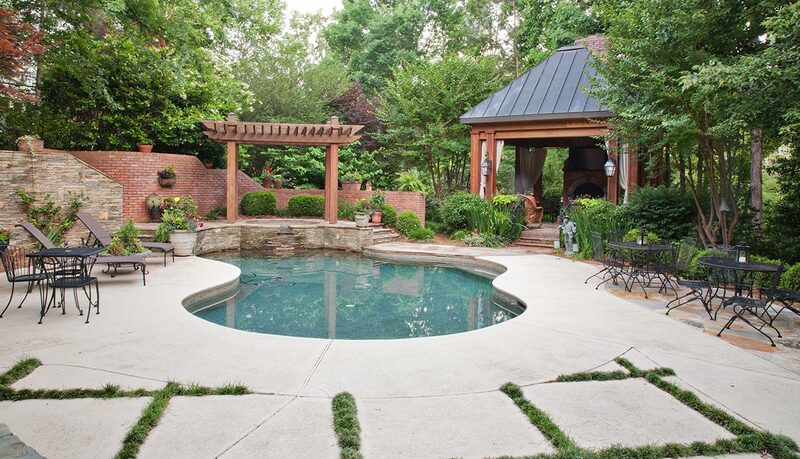 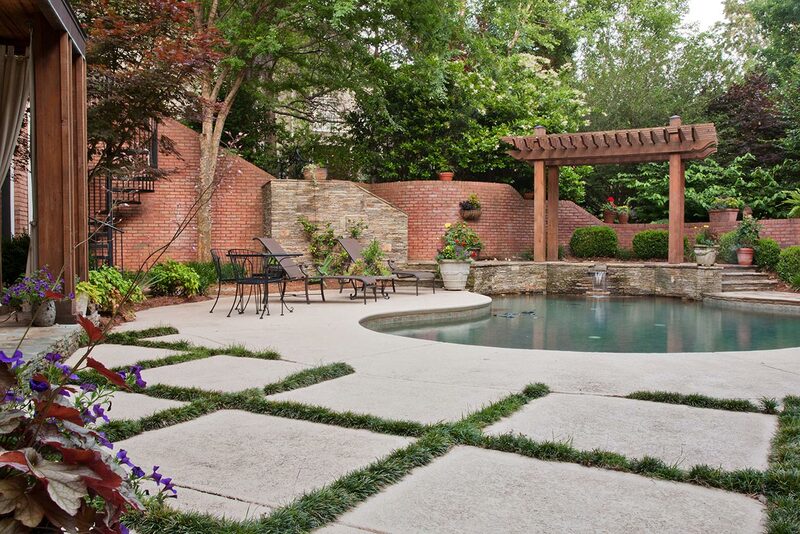 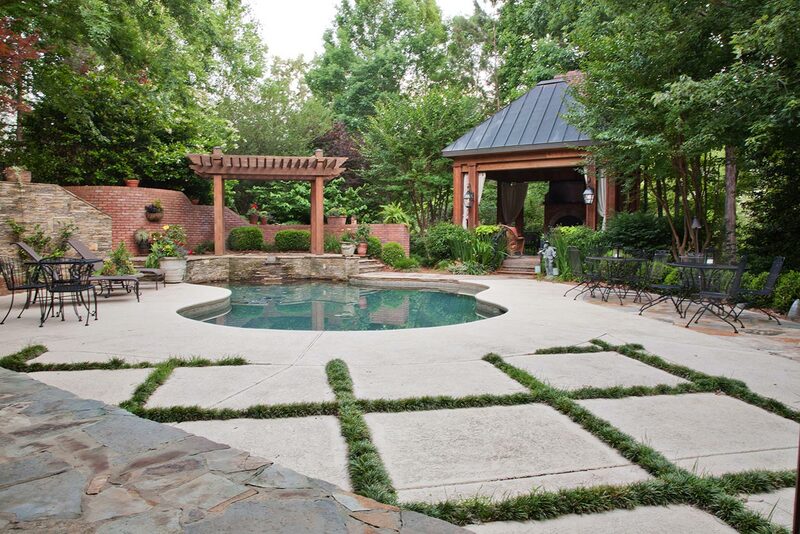 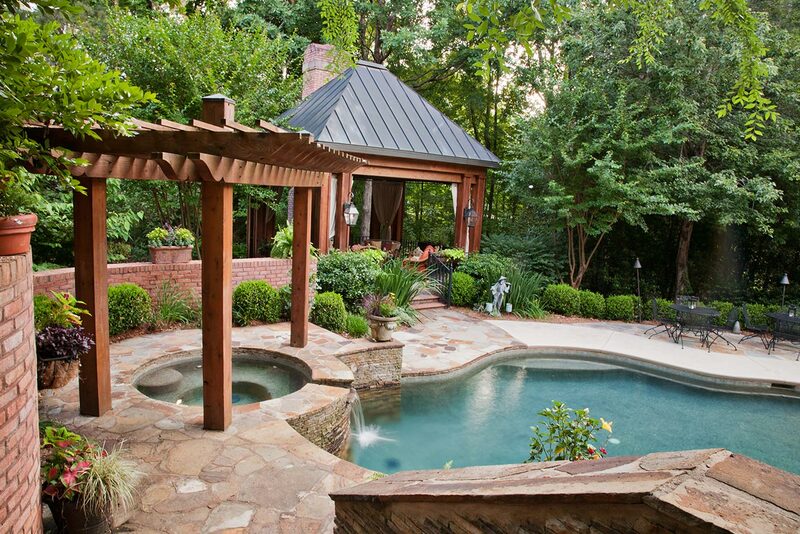 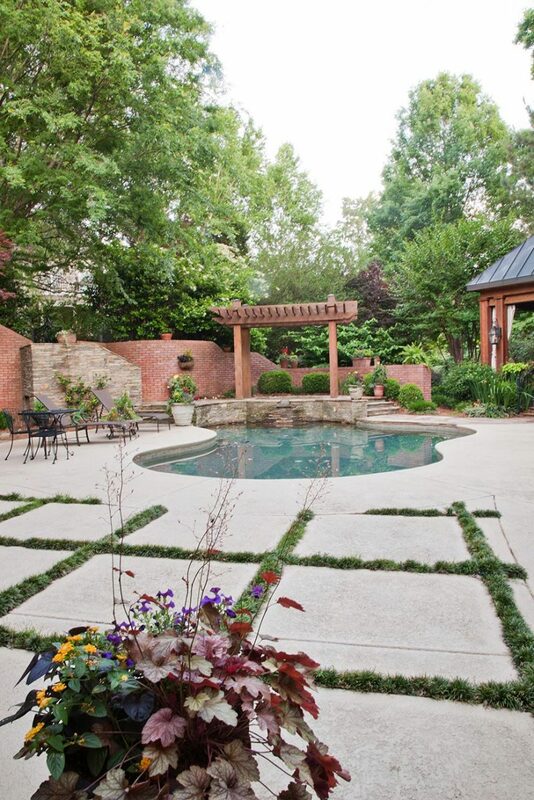 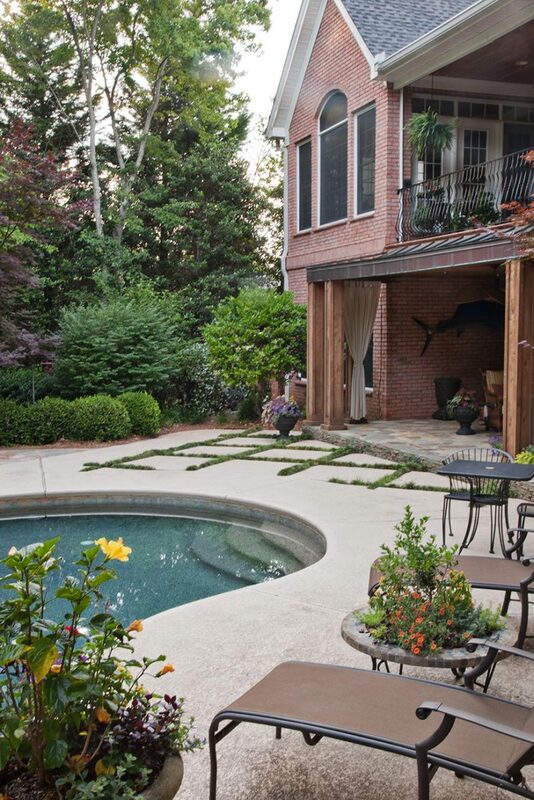 An extension to the pool deck was added with matching crab orchard stone to allow for more furniture and container gardens were designed and installed to soften the hard services and accentuate the outdoor spaces. 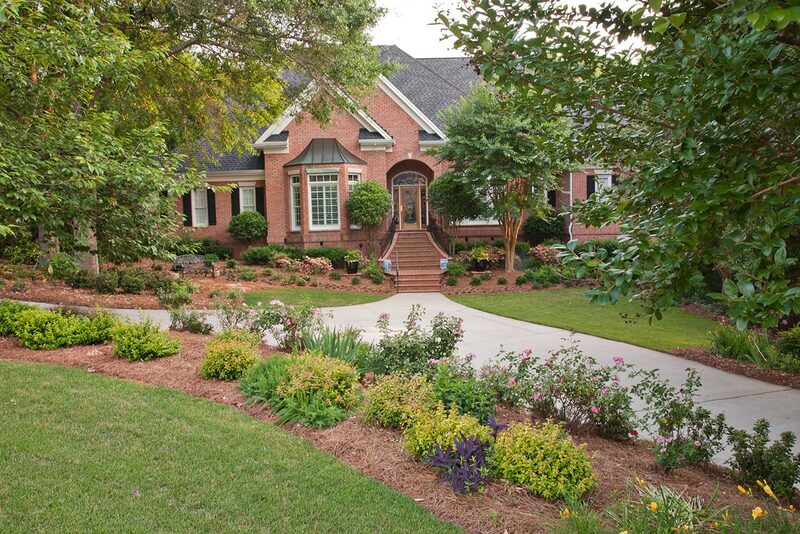 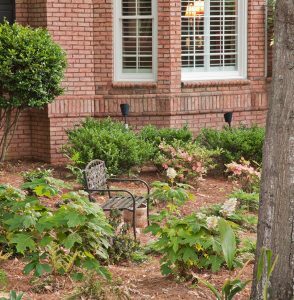 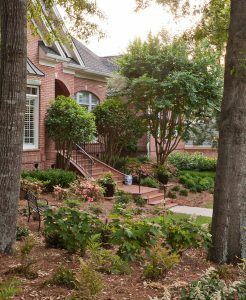 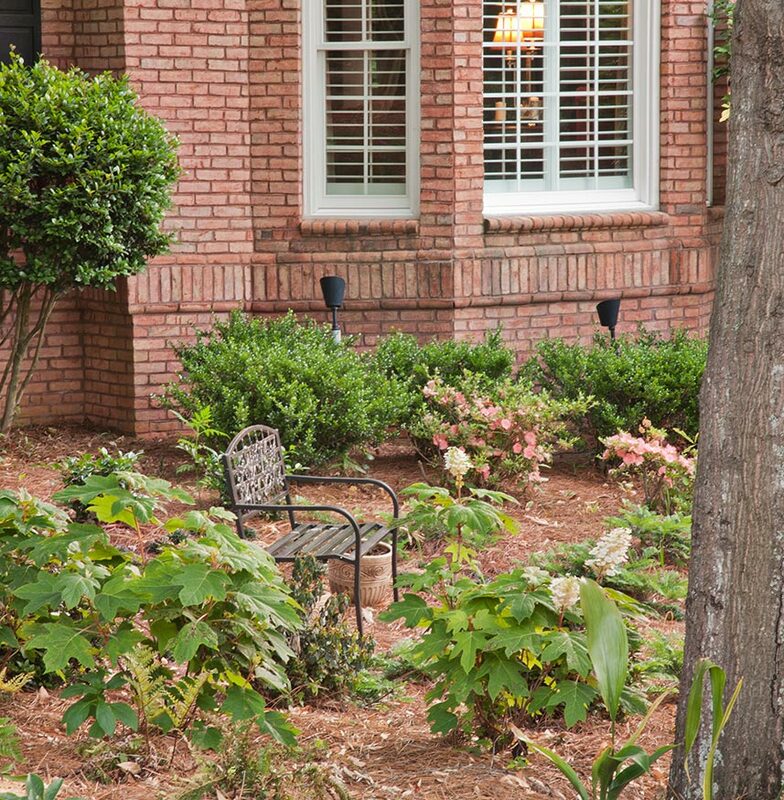 The front yard saw the most changes with thinning of trees that were overgrown and the addition of extensive ground layer plant material. 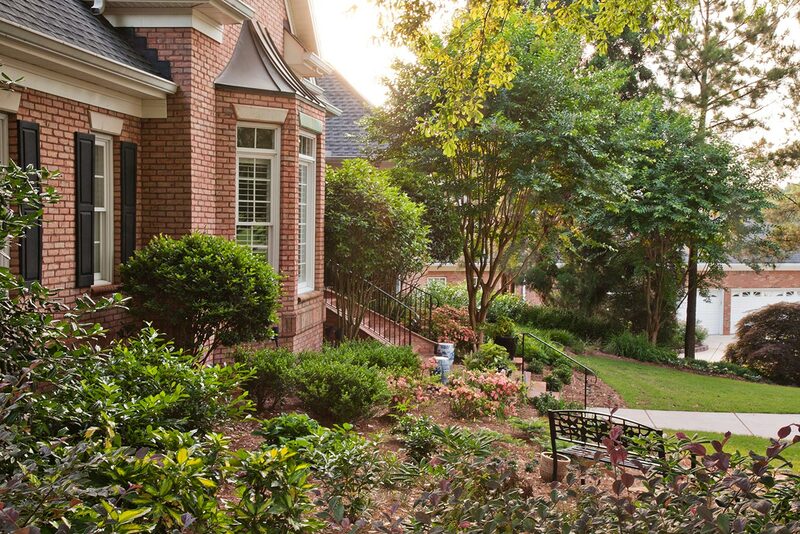 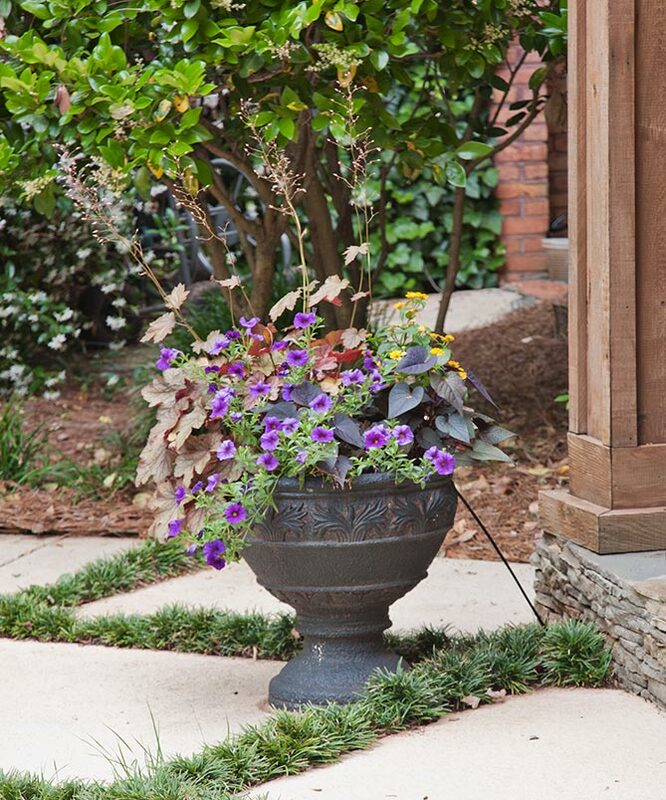 A small path to the bench and additional iron railings that match add aesthetic and functional detail to the residence.